Forget the bun and dive into a delicious whole food Burger lovingly prepared and served up by you! Embrace eating real food and let your creativity flow as you assemble one of these healthy delights. Your family and friends will be amazed when they are served a tasty, colourful and completely satisfying meal that is so easy to prepare and can be adjusted to suit your own individual tastes and preferences. 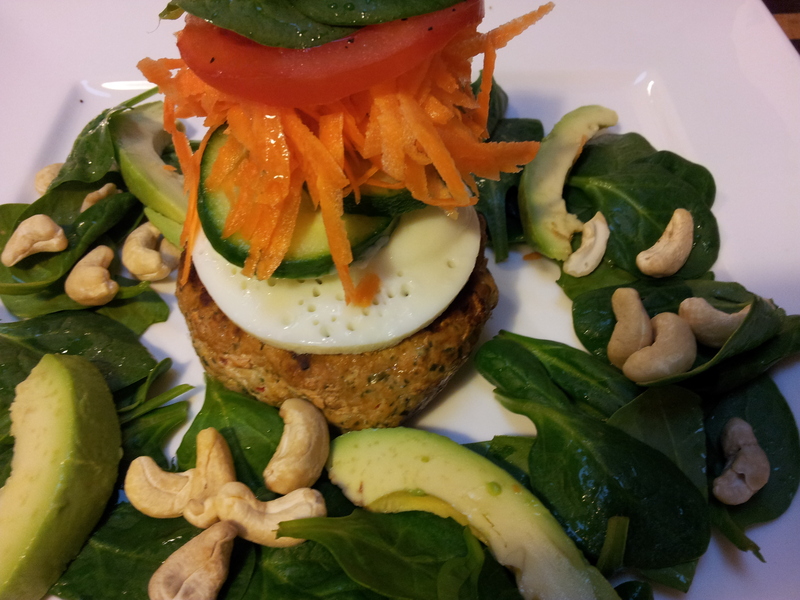 The burger forms the centre piece of the meal and is accompanied by a selection of raw ingredients. Choosing your meat is the key decision and l advise to buy the best quality that you can. I like to use organic, grass fed or free-range options with beef, lamb and chicken my favourite. I usually use mince and add herbs from the garden, egg, coconut flour, onion, stock, grated vegetables, seasoning etc. Alternatively you can use a whole piece of meat such as a breast fillet that is spiced with seasoning such as cinnamon and cumin. If l make up the mince burgers l form the patties and refrigerate for an hour as this helps them to hold together. You can bake the burgers in the oven covered with foil or cook in your fry pan. I generally cover them either way as there is quite a lot of fat splattering about and it can get messy to clean up. 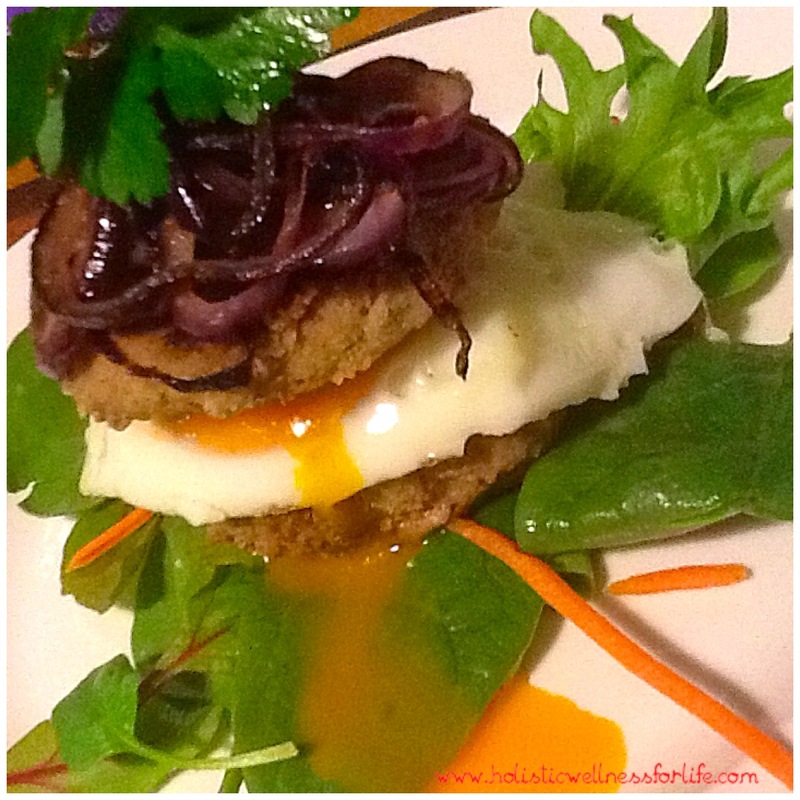 Fried red onion with a double beef burger and a runny egg to add a sauce. 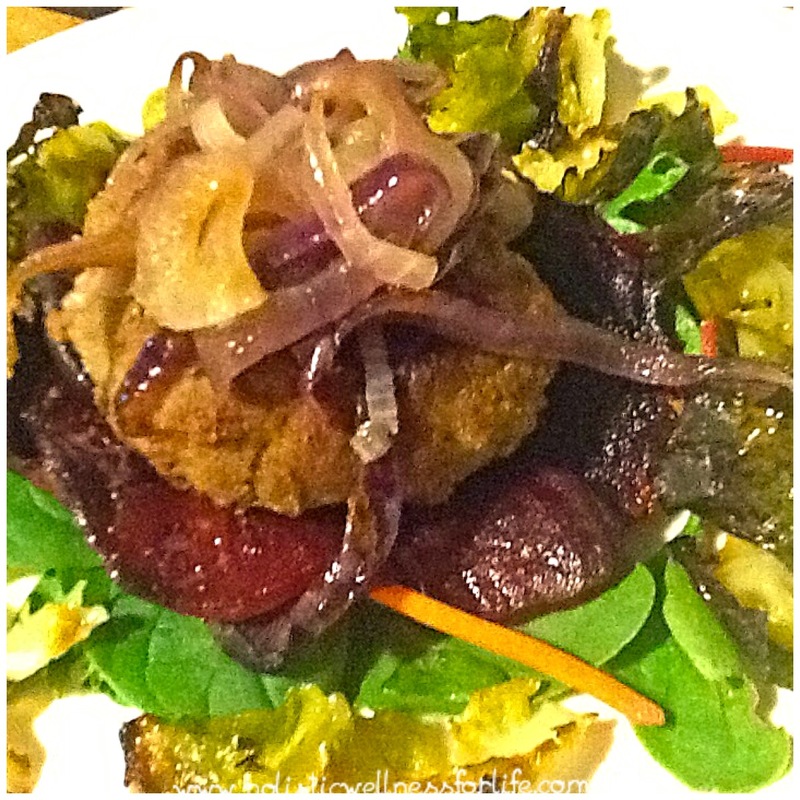 A single beef burger on a bed of roasted beetroot and brussel sprout chips and some nicely fried red onion on the top. 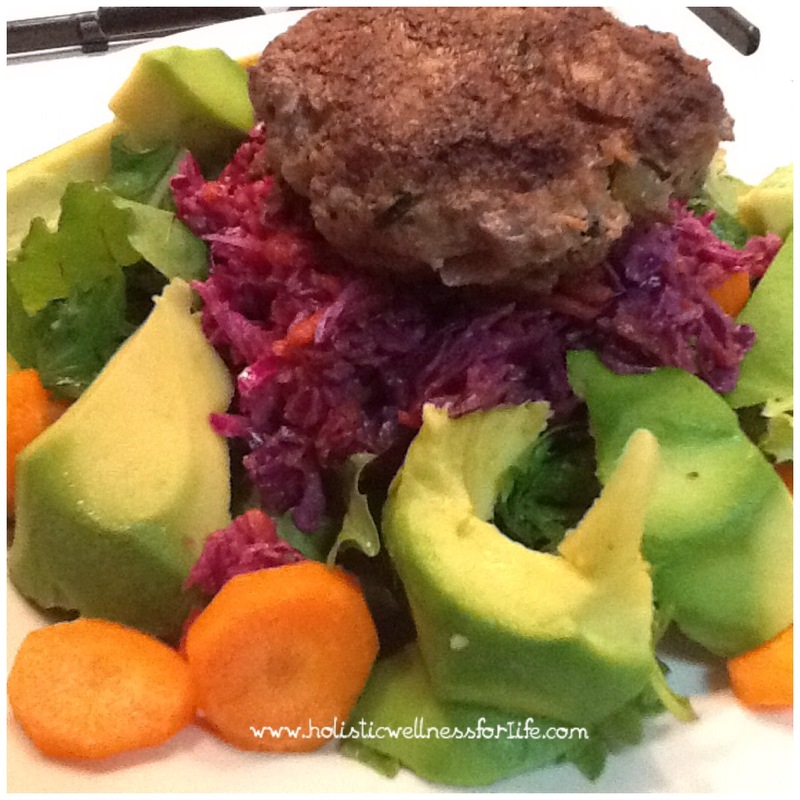 I think a burger is a year round dish as the accompanying vegetables can be altered to include more raw or cooked ones depending on what is in season. 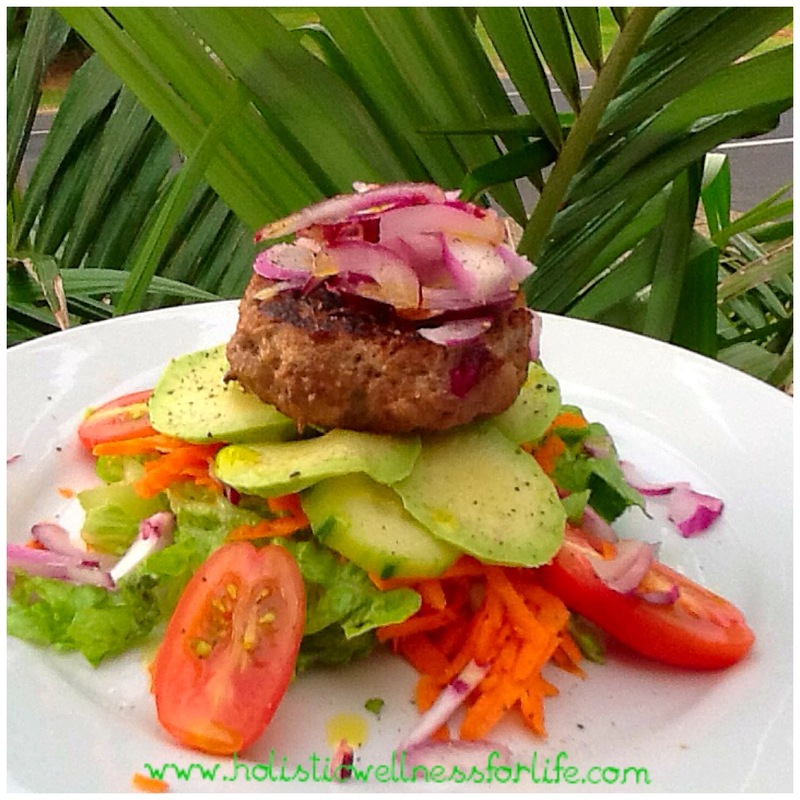 This burger sits on a bed of colourful salad. 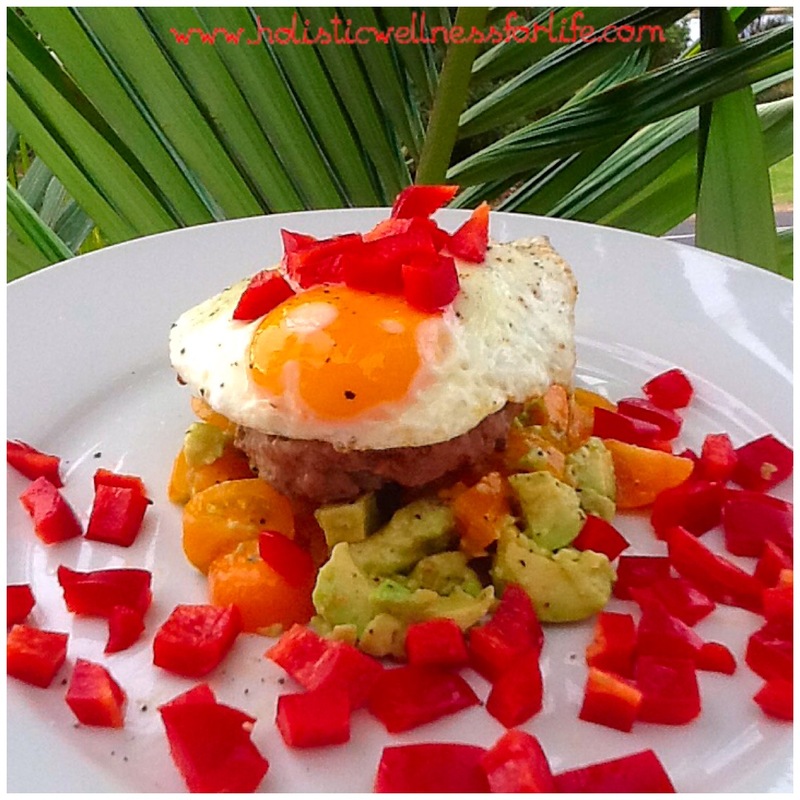 Red capsicum, yellow mini tomatoes and avocado provide a colourful surround for this burger. Sitting on a bed of colourful coleslaw, salad and avocado. This is an economical, quick and delicious family meal. Eat a rainbow today and enjoy the health benefits of having a whole foods based diet.